If you are researching life coach training programs, the Institute for Life Coach Training (ILCT) may be on your list of schools to review. The ILCT coaching model employs a wholistic approach, empowering the client through powerful questions, purposeful inquiry, cutting edge tools and proven psychological principles focused on getting results. The program has been in place for sixteen years and was as one of the first coach training programs to gain accreditation by the International Coach Federation. More than 3000 professional coaches have been trained through the ILCT, with coaches coming from varied career backgrounds and from all over the world. Graduates of the ILCT work in organizations ranging from not for profit organizations to the military to high level corporations. The program offers multiple coaching tracks and varied scheduling options to accommodate many different lifestyles and career paths. A Credentialing Path is offered for those who wish to pursue a generalist approach. This path provides core classes and electives required to attain the credentialing level that best fits your needs. On the other hand, if you wish to specialize and received focused coursework in a specific area, the Specialties Path may be for you. This allows you to specialize while working toward your credentials, so that you have an area of specialty for your coaching practice. Many people like this option as it allows them to have a niche market for their services. The ILCT’s website has a Program Pathfinder tool to help you determine which path and courses are the best fit for your needs. The price for ILCT depends on the track that you choose and the number of courses that you take. Financial Aid is available. You may also be interested in ILCT if you are interested in learning from home or at your own pace. All classes are delivered via teleclasses, so you need only have access to a phone to attend classes. The classes are offered at various times and start every month except December. The website lists the schedules, so you can determine before you register if the times work for you. Further, self-directed courses are also available all year long. This option allows you to work independently and is especially helpful if the scheduled group classes don’t meet your needs. Overall, the ILCT has many benefits for aspiring coaches. Small classes and peer groups empower you with hands on practical experience and access to the instructors. The coaching school and models employed have been in place since 1998. 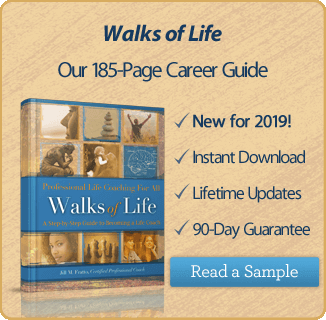 Multiple avenues to certification are offered including business coaching, career development coaching, relationship coaching and wellness coaching. The program offers a focused model, yet many avenues to achieve the coaching goals of the individual student. Finally, the program’s emphasis on social sciences enable students with no coaching experience to acquire coaching training skills for use in many different industries. Their website offers many tools and resources to help you determine the right school and path for you. 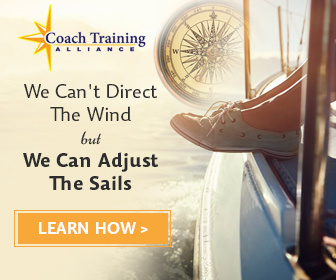 If flexibility and long standing success are important to you in a coaching program, ILCT may be for you.